Should I Upgrade my iMac Hard Drive to a Solid State Drive? Wait, how can this work. Apple doesn’t upgrade iMac hard drives. So, is this doable? Yup, another leading question here. Apple is all about selling new machines. So, if you neglected the solid state hard drive option during your purchasing configuration, oh well says Apple, buy another one! Or if you didn’t think about adding enough storage space, Apple again will put its hands up in the air like the just don’t care. But, don’t give up. Other iMac repair shops do this. Most notably, non-authorized Apple repair providers do this. Why can’t authorized Apple repair shops do this? Well, see the same reasoning above. Apple wants you to buy new stuff all the time and preferably every year. So, they will not be opening up your iMac to help you out. Non-Apple shops have the liberty to do as they please. This means they can actually help the customer! Alright, so I have a little angst towards Apple. You bet I do. They don’t upgrade anything and are product-centric first before service which kills me. 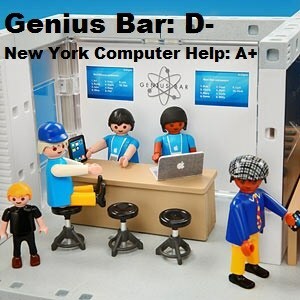 At third-party Apple repair shops in NYC, for instance…well, the good ones that is, they’ll upgrade anything and everything. This includes hard drive upgrades, RAM upgrades, and other parts. There’s no reason these parts cannot and should not be upgraded. As for the question here, is your iMac hard drive upgradeable? And should you do it? Yes and yes. Until Apple start soldering the solid state drives to the iMac logic board, and I’m sure it’s only a matter of time, your SATA or solid state hard drive (SSD) can be upgraded. You should certainly upgrade your regular SATA drive to an SSD drive as it’s ridiculously faster from startup, shutdown, accessing files, Internet, and everything in between. If you have a small SSD storage size, you can upgrade this as well, but it’s not necessary if you have enough space already. That’s up to you. Check back for an upcoming client spotlight series!